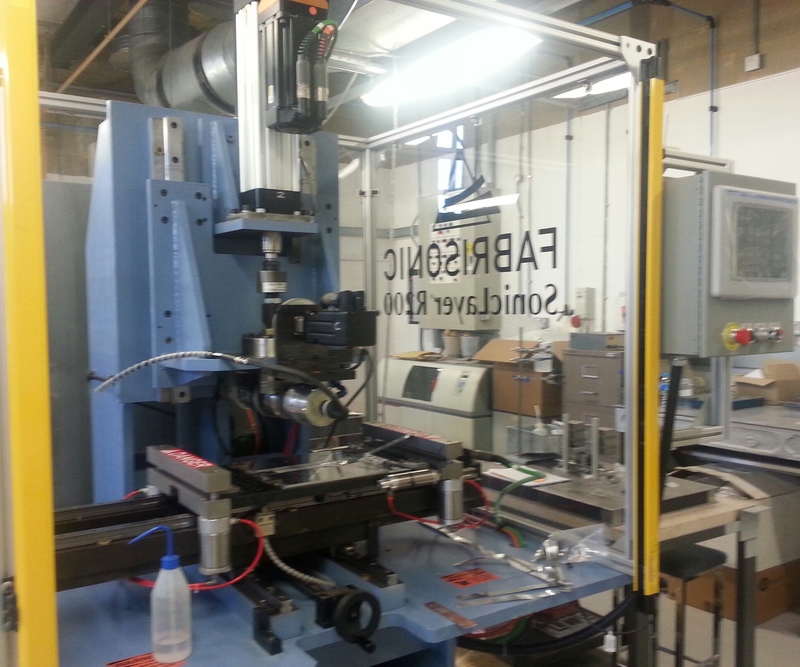 This week Fabrisonic commissioned our first machine in the United Kingdom. The proud owner of the SonicLayerR200 is Loughborough University. Loughborough has been active in 3D printing for many years. They recently made headlines by 3D printing replicas of King Richard III bones as part of a international archaeological discovery. The researchers at Loughborough have been involved with Ultrasoinc Additive Manufacturing for a decade, and have one of the oldest machines still in service (1 kW). With the new R200’s 9+kW of power they will be able to extend their research to high strength alloys and metal matrix composites. 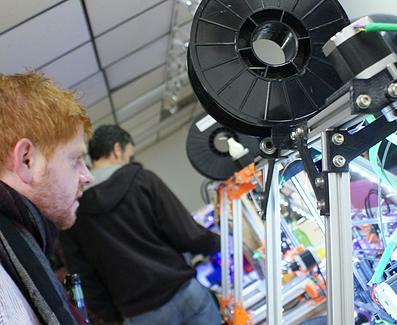 Last week, Fabrisonic visited a monthly 3D printing forum at a local Makerspace called The Columbus Idea Foundry. Enthusiasts gather together bringing their own plastic printers to share ideas and knowledge. With Fabrisonic being a 3D metal printing company, it was good way to see how people are sharing views on the plastic side. There were interesting and fun discussions with people who had never heard of our process and the capabilities that are attached. We have realized that Ultrasonic Additive Manufacturing (UAM) can have a place in the art world as well as manufacturing. As we have seen the 3D printing of plastics rapidly grow, there is an excitement to see where the 3D metal printing world is headed. Fabrisonic recently joined the new national center in Detroit devoted to lightweighting, LIFT (LIGHTWEIGHT INNOVATIONS FOR TOMORROW). Lightweighting is becoming as popular a topic as 3D printing of metal. In our line of work we combine the best of both buzz words. 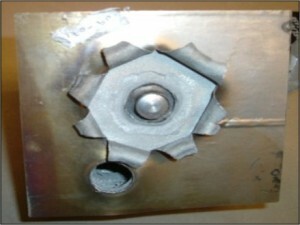 Our unique technology allows us to 3D Print metals items that have high strength and low weight. For example, traditionally a piece of armor would be made of either monolithic Titanium and or armor Steel. 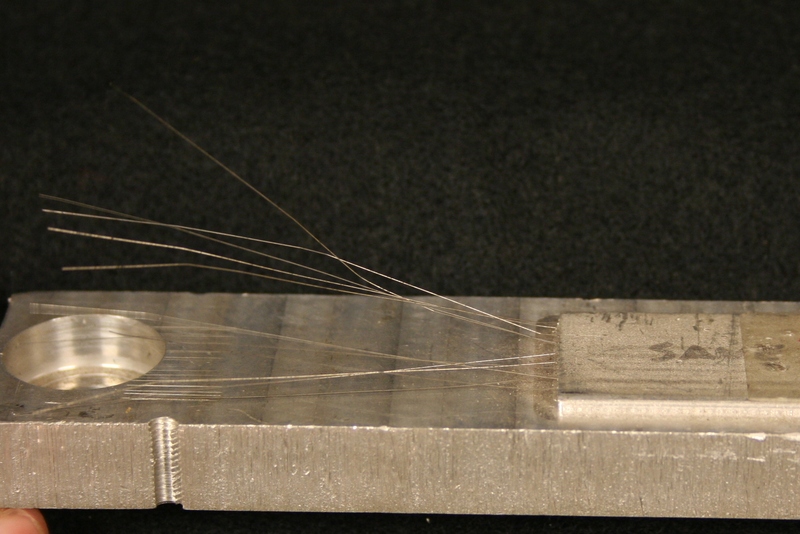 With our unique layering process, we can make bi-layers of Titanium and Aluminum that have the same “bullet stopping” qualities with close to half the weight. Fabrisonic’s SonicLayer metal 3D printers are driving the same weight savings in heat ex changers. Many designs are made entirely from copper for its conductivity, but why not combine copper and aluminum. The aluminum has high conductivity and very light weight. Fabrisonic has built many designs that utilize copper in the critical heat flux regions but leverage aluminum lower density throughout the rest of the structure. This can create a high performance, but light weight thermal device. Metal Matrix Composites (MMC) are another application to create stronger and lighter parts. 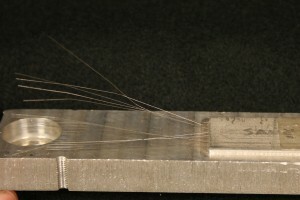 When combined with a base metal such as aluminum in the layering process, the high strength ceramic fibers can dramatically increase modulus and tensile strength. With Fabrisonic’s process we can change material layer to layer. Thus, a component can be 3D printed mostly from aerospace aluminum but high stress areas can be reinforced with continous ceramic fibers that have 5X the strength. Since they are mostly aluminum these super strong components can subsequently be easily integrated with other aluminum structures. For more information, look at the APPLICATIONS tab on the Fabrisonic website at www.fabrisonic.com.